To all readers of the Trang web cá cược trực tuyến www.themiracleofkangaroomothercare.com blog her'ees wishing you a new year full of success and adventure! It is hard to pick just a few favourite moments. The atmosphere on Thriller Thursday when Jonnie Peacock silenced 82,000 people by merely holding his finger to his lips amazed even the most hard bitten supporters. One commentator said he had never heard that support for anyone, not even Usain Bolt. The 100m then turned into one of the best races of the Games, not just the most hyped. Leaving the Olympic Park every night, so many people came up and wanted to share the joy they had experienced. There were the families who said they were worried about taking their children to goalball because they feared that they couldn't keep quiet for that long, and they voiced their surprise when they did. And there were disabled children saying they now had a real choice of people they wanted to emulate. The overriding feeling in and around the Games was that theParalympic movement had developed - and is continuing to develop. Sometimes the signs were quite subtle: Seb Coe talking about the Paralympics, while the Olympics were still on, for example. Being able to say the Olympic and Paralympic Games instead of having to divide them by having two Games in the same sentence was another. The Empower Partnerships project is a prestigious, two-way international exchange program for organizations working on or interested in working on disability-related issues and inclusion as articulated in the Convention on the Rights of Persons with Disabilities. This project aims to create sustainable organizational partnerships between U.S. and international organizations, expanding the capacity of each organization to promote disability inclusive communities, and to advance disability rights. MIUSA will select and match organizations from the U.S. and 20 other countries, and will provide ongoing technical assistance, opportunities for international exchange, small grant support to implement collaborative projects, and foster long-term, mutually beneficial relationships. Build or expand sustainable networks of individuals and organizations serving people with disabilities. Twenty partner teams will be selected by MIUSA and each will include three organizations: one U.S. organization and two organizations from another country. Non-U.S. organizations will include one focused on disability inclusion such as a Disabled People's Organization (DPO) and one non-disability-specific institution for which disability inclusion is a priority. The 20 international partner teams will share knowledge and expertise through reciprocal exchange programs to maximize outcomes of collaborative projects and ongoing partnerships. An Italian patriot mght tell you that if you trace most good ideas to their roots some brilliant Italian has probably already written about it. Vitruvius wrote about architecture. Leonardo da Vinci drew the Vitruvian Man as a summary so he didn't have to carry around all those heavy books. Ron Mace invented Universal Design to remind Vitruvius and Michelangelo that some of us read books while sitting down. In fact, that American architect Ron Mace noted, some of us read the world from that position. Ron too was a tetraplegic. When you realize that someone accessible to you is the source of something valuable, like good insights, it becomes natural to direct your time and attention to them with new passion. Simple observation becomes an active inquiry - an appreciative active inquiry. The other person is respected as valuable specifically because they are different. As they hold a sustained, but different, gaze on the world they scan the world for ways that they do or do not fit into it. Sharing a future with that person engages you in their struggle to eliminate the barriers that sometimes only they can see. Universal Design looks at the world and imagines it beyond the barriers it has constructed. It can do that because Universal Design has first imagined people who are different moving into the world from the margins to inhabit it with full access to participation. Universal Design is a framework for the design of places, things, information, communication and policy to be usable by the widest range of people operating in the widest range of situations without special or separate design. Universal Design is the sustained gaze from from the outside asking what it would take to be on the inside. Looking - and living - from the margins, Universal Design sees how resources are arranged to serve systems of power - systems that exclude by design. Universal Design arose when Ron Mace, and others intimately familiar with the experience of disability, arrived at a consensus on how to use some very specific skills. 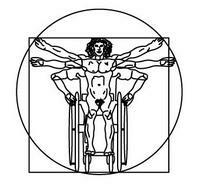 In 1997 these skilled professionals gathered in North Carolina for a "Vitruvian Moment" to capture what are now known as the Seven Principles of Universal Design. Around the world these principles interacted with local knowledge generating alternative names such as design-for-all and inclusive design. The impulse there was to emphasize the dialogic and iterative nature of Universal Design to counterbalance a heuristic "comply-with-a-checklist-of-features" mentality that "excluded the excluded" from the very design process for their inclusion! Can we achieve a new "Michelangelo Moment" where we new appreciation of difference can be captured in a brief and graphic way? 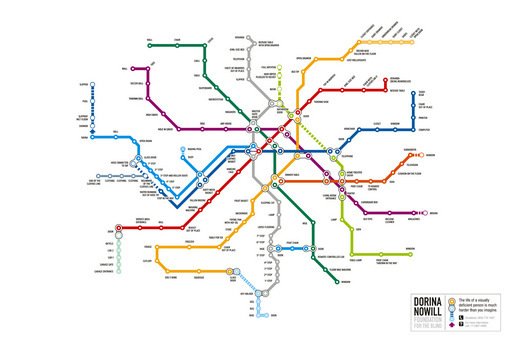 Click to enlarge this wonderful whimsical "Metro Map" published by the Dorina Norwill Foundation in Brazil. An ad from the Dorina Norwill Foundation in Brazil - "Dots"
Universal design creates environments that can be used effectively by all people, regardless of age or ability and without the need for adaptation. Active design aligns with this concept by creating opportunities for physical activity for all users - whether through the provision of lighting, benches, and drinking fountains along pathways, or through the addition of curb cuts that serve the needs of wheelchair users, older adults, and people with strollers equally. Additionally, some active design principles that might appear at first glance to be inconsistent with universal design - such as an emphasis on stair use - can actually be complementary. For example, slowing down elevator door closing speeds can make elevators more usable for those with disabilities, while acting as an incentive for able-bodied people to use the stairs. Increasing stair use can free up elevators for those who really need to use them. Widening stairs, having fewer steps per flight, and providing intermittent landings between floors also makes the use of stairs more feasible and comfortable for those who have physical challenges. This autobiographical book tells the true and incredible story of Paralympic athlete and sporting ambassador Anne Wafula Strike, a Kenyan who was struck down by Polio as a toddler. It charts her journey, which began in a small Kenyan village, where she was persecuted for her disability, to overcoming prejudice towards disability and to finally achieving Paralympic glory as a wheelchair racer. Written in her own words, this first person novel-like narrative gives a very personal account of Anne's experiences, from her childhood memories of being shunned by her village community and being sent away to a school far from home, to the death of her beloved mother. It explores her teenage angst in finding romance like other girls her age and her yearning for motherhood. Throughout the book the theme of self-belief and determination is continually apparent as Anne Olympia overcomes the obstacles in her path (with her family's support), striving to achieve what others thought impossible. It is Anne's ambition and perseverance which enables her to succeed and her message (which she also delivers through charity work and motivational talks) is that courage and determination transcend disability. In fact, Anne challenges misconceptions towards disability, coining the more positive label: 'differently able'. In the wake of the London 2012 Paralympics, this easy-to-read book is particularly relevant and is a must-read for not only athletes and disabled people, but groups of people and individuals from all walks of life. The Architectural Barriers Act (ABA) of 1968, one of the first laws passed by Congress addressing access for people with disabilities, requires that federally funded facilities be accessible according to established standards. The law applies to facilities designed, built or altered with Federal dollars or leased by Federal agencies. The ABA covers a wide range of government buildings, including post offices, social security offices, and Federal office buildings. It also applies to non-Federal buildings that are federally funded, such as schools, transit stations, local courthouses and jails, and public housing. The Board enforces the accessibility standards of the ABA through the investigation of complaints from the public. Upon receipt of a complaint, the Board opens an investigation to determine whether the facility in question is covered by the ABA and if so, whether it meets the applicable accessibility standards. If a covered facility is not in compliance, the Board will pursue a corrective action plan and monitor the case until all necessary work is completed. The new online submission form will make it easier and more convenient for the public to file ABA complaints with the Board. It also will improve how the Board monitors and tracks complaints. Members of the public are invited to view and try out the proposed complaint form which is available for comment until February 15. A published notice provides further details, including instructions on submitting feedback. The new form, which replaces an earlier one previously made available on the Board's site, will be launched under procedures that Federal agencies must follow in collecting information from the public. For further information, contact Lisa Fairhall, the Board's Deputy General Counsel atfairhall@access-board.gov, (202)272-0046 (voice), (202) 272-0064 or visit the Board'swebsite. In spite of the demonstrably false claims that the CRPD has anything to do with abortion, failure to ratify it certainly has a direct impact on justifying infanticide. Failure to ratify would impact this country in multiple ways. If ratified, the treaty extends U.S. protections to Americans traveling abroad and working abroad. Without ratification, Americans won't have those protections. Also, the United States will lose an international voice on disability matters. If the United States does not ratify the treaty, the United States can't appoint anyone to sit on the U.N. Committee on Disabilities. According to Marca Bristo, Board Chair for the United States International Council on Disability, this means "our best practices and many years of experience can't be implemented." As a person with dwarfism who sits on the board for Little People of America, losing that voice would have a devastating impact. I recently read an article from a magazine published by Little People Uganda, which serves people with dwarfism in Uganda. The article was written by a young man with dwarfism who had recently celebrated the birth of his daughter. The baby's mother was an average stature woman. In the article, the young man wrote that his newborn child was murdered just days after birth by her maternal grandmother. In the article, the father wrote that his baby was strangled to death "just because her father was a dwarf and probably she was a dwarf." Sadly, as a member of a non-profit volunteer board, I can do little more than express outrage over, mourn over, and write about such a tragic story. That's one reason why the United States needs to ratify the United Nations Convention on the Rights of People with Disabilities. The treaty will give me a platform upon which I can speak out and advocate on behalf of people with dwarfism in other countries. More importantly, ratification gives the United States a voice to shape disability policy worldwide, and tool to protect and make concrete change on behalf of people with disabilities worldwide. Depois de ler o documento da apresenta? ?o do Scott Rains, fiquei com esperan?as de que realmente as coisas possam melhorar no Brasil,mas na minha opini?o as leis deveriam ser mudadas e respeitadas antes mesmo de se come?ar a construir ou reconstruir acessos para portadores de deficiência.Leis que antes de serem aprovadas ao léu deveriam ser melhor examinadas. Bom, vou falar um pouco da minha história para que vocês entendam a que me refiro. Comecei a desenvolver minha deficiência quando tinha 4 anos. Tive três diferentes diagnósticos: Poliomielite, Charcot Marie Tooth e um terceiro diagnóstico que já n?o me lembro mais o nome,mas a maior parte de minha vida ouvi dizer que havia tido polio. Aos 13 anos minha m?e faleceu decorrente de um cancer de mama( breast cancer).Meu pai, hoje também falecido, tinha mais preocupa? ?es com bebidas e mulheres do que com as duas filhas que ele tinha.Acredito que somente quem tem um pai alcoólatra sabe o quanto é difícil, mas n?o quero me aprofundar nesta parte. Eu e minha irm? sempre fomos muito amigas, isso era uma coisa que minha m?e estava sempre nos falando, que éramos mais do que melhores amigas, éramos irm?s.Quando minha m?e faleceu, minha irm? e eu nos tornamos ainda mais unidas. Minha avó materna tentou trazer-nos para cá ( Estados Unidos), mas ela acabou morrendo dois anos depois da morte de minha m?e.Um motorista bêbado causou o acidente que tirou a vida de minha avó e também de uma de minhas tias. minha irm? perto de mim.N?o era fácil ouvir as pessoas dizerem que eu era diferente, eu adorava dan?ar e n?o via minha deficiência, mas depois de tanto me apontarem a deficiência como algo que deveria ter vergonha, parei de dan?ar. Por mudar de uma casa para outra, minha irm? e eu ja havíamos perdido alguns anos de escola e com os acontecimentos e minha rebeldia juvenil para chamar a aten? ?o das pessoas, eu parei de estudar e fiz isso por muitos anos.Trabalhava com meu pai no bar que ele e minha m?e haviam conseguido com muito esfor?o. Com o passar dos anos eu queria voltar para escola, mas tinha vergonha, pois estava "velha" para isso. Meu pai, acabou vendendo o bar e quando foi fazer uma nova compra, ele levou um golpe. Perdeu todo o dinheiro que tinhamos. Precisava agora arrumar um emprego e por mais que tentasse n?o conseguia, pois n?o tinha experiência ou mesmo estudos. Coloquei minha vergonha de lado e fui fazer o supletivo,mas n?o era fácil,principalmente porque a escola tinha escadas e n?o havia corrim?o.Fui pedir para a diretora instalar e o que ouvi foi que a escola n?o tinha verbas e que eu poderia usar a escada do meio que era apenas para os professores. Nessa época eu pagava ?nibus e dava meu lugar para idosos e gestantes, ficava em filas, n?o usava nenhum dos meus direitos. Foi quando um grupo de estudantes da USP come?aram a ir na escola, n?o me lembro o que levaram eles até lá, mas lembro que estava conversando com um dos rapazes do grupo e ele me disse que admirava todas as pessoas que voltavam a estudar, cada um tinha um motivo diferente por ter abandonado os estudos, mas retornar era sin?mino de coragem e que no meu caso ele estava realmente admirado por causa da deficiência. Nesse mesmo momento soube que um dos professores me admirava muito pelo mesmo motivo. Voltar a estudar depois de anos exigia coragem, mas ter ainda que passar pelos obstáculos da deficiência, eu era realmente um exemplo. Depois de ouvir minha vida inteira de que eu n?o era capaz, de que n?o conseguiria, que n?o era perfeita, que eu era bonita e o problema era só os meus pés.Aquelas palavras me deram uma for?a que havia esquecido possuí- la.Coragem que me levou a ir de classe em classe e pedir para que os alunos assinassem o meu abaixo- assinado, requerindo corrim?os para as duas escadas laterais, para o meu benefício e de todos os outros portadores de deficiência física, mas também para aqueles que tivessem o pé quebrado e os mais velhos que também estavam ali para estudar.N?o foi preciso mandar o abaixo-assinado para Secretaria da Educac?o, a escola instalou os corrim?os. Terminara o colegial, mas ninguém me dava emprego, " n?o tinha experiência". Fui ent?o para secretaria do trabalho, lá fui encaminhada para o departamento responsável para portadores de deficiência.Conheci a Thais, que é fonoaudióloga e ela me explicou mais sobre os direitos das pessoas portadoras de deficiência e que n?o deveira me sentir mal por usá- las. de gestac?o e ela ent?o me perguntou o porquê de eu estar na fila e eu lhe disse. Chegou a minha vez de ir ao caixa, a mo?a n?o olhou pra mim, se virou e disse ao seu colega ao lado: - Olha que falta de vergonha! Cheguei ao caixa e ela me disse: - Você sabe que esta fila é para idosos e gestantes! E eu perguntei a ela se n?o era também para deficientes.Ela sem gra?a disse que sim, ent?o perdi a minha paciência, alterei minha voz e lhe disse: - Se voce tivesse olhado pra mim, teria visto que ando diferente de você,mas com certeza se eu fosse tentar namorar alguém na sua família voce iria ver a minha deficiência antes mesmo de me ver. Já no onibus, teve um motorista que ficou esperando eu descer do ?nibus e come?ar a caminhar para parar de me olhar com ar de suspeita. Um outro que assim que viu que eu ia entrar pela porta da frente comecou a dirigir o onibus e foi o cobrador que gritou: -Para o ?nibus, a moca é aleijada. Um senhor entrou no ?nibus e come?ou a me insultar, pois estava no lugar que era dele. Ent?o aí veio a lei: certo número de empregados tem que ter certo número de deficientes,meio maluco isso, mas fui lá "tirar proveito". " Mas você precisa de alguma adaptac?o? Sabe o que é, a vaga foi preenchida esta manh?." Bom, aí vem mais uma vez Deus me dizer que sou forte e sou capaz. Tivemos uma reuni?o, a Thais, a diretora, outros deficientes que também estavam procurando empregos (uns com diplomas de faculdade e experiência) e eu é claro. No dia seguinte a Thais me pediu pra ir até lá. Come?amos a conversar e ela me disse que havia uma vaga para recepcionista, n?o pagavam muito, mas seria um come?o e que eu me daria bem lá, pois teria contato com crian?as( o que eu amo) e seria apenas para come?ar. Ent?o ela me disse que n?o sabia o que estava acontecendo comigo, pois a diretora que estava na reuni?o conosco lhe disse que eu n?o falava muito, mas meus olhos sim falam muito,mas o que mais a havia impressionado foi que apesar de n?o falar muito, quando abria minha boca falava de forma correta,o que os outros que estavam ali com diploma n?o o fizeram. Sai de lá e fui para minha entrevista, claro que consegui o emprego. Alguém tinha acabado de me dizer que eu era boa, pelo menos no meu português. Nesse emprego, era a recepcionista, a amiga e a conselheira de todos. Bom, muitos de vocês conhecem esse lugar, é a Expans?o. Lá conheci algumas pessoas que me indicaram outras pessoas ou lugares e quando fui ver estava envolvida com Magic Hands, CMPD e o pessoal da Saga Natac?o. Tenho muitas histórias boas da Expans?o, mas uma vou contar agora. Uma m?e veio me contar que estava triste pois a AACD havia dito que o filho n?o poderia mais ir para escola ,pois ele n?o tinha mais capacidade de aprendizado. A m?e disse a ele e o pobre menino ficou super triste, pois ele queria ir pra escola como seu irm?o. Entrei em contato com alguns dos meus novos amigos e me disseram para falar para essa m?e que ela deveria ligar para associa? ?o e dizer que se eles nao aceitassem o menino, ela iria com o advogado até o tribunal de justi?a e abrir uma a? ?o contra eles. A m?e me ligou depois de alguns dias para dizer que eles ligaram para ela e disseram que foi tudo um mal entendido e o menino poderia sim frequentar a escola. Agora já nas reunioes do CMPD tem três histórias que gostaria de contar. Essas ficaram marcadas em minha memória. N?o me lembro mais o nome das pessoas, mas me lembro dos incidentes. - Por que voce n?o se jogou? Era menos trabalho. Já a segunda também envolvendo o pessoal do metr?, foi com uma uma deficiente visual e o rapaz que a conduzia disse a ela: - Você deveria ficar era em casa. O terceiro caso foi uma pessoa que sendo deficiente visual n?o percebeu que a rampa já havia terminado e foi puxado por uma pessoa antes que o carro o atropelasse. Aonde eu quero chegar com minhas histórias? Nao é apenas construir ou reconstruir estádios, hotéis, cinemas, teatros,além disso é preciso ter conhecimento do que e como est?o sendo feitas essas obras. Arquitetos, engenheiros e pedreiros, antes de come?arem qualquer coisa devem ouvir os deficientes , visuais, auditivos, os amputados , cadeirantes, os que usam muletas, órteses, os que tem atrites, todas as pessoas que tem algum tipo de dificuldade motora devem ser ouvidas e também os idosos. Uma das coisas mais estúpidas que eu achava era a luz de estacionamento com alerta sonoro dos prédios para avisar que os carros est?o saindo, mas me diga como um deficiente visual perceberia os carros? O Brasil precisa sim de reformas arquitet?nicas urgentes,mas precisa também de educa? ?o e n?o estou me referindo apenas a escolar. Respeitar e aceitar as diferen?as! é preciso come?ar já a educar os funcionários públicos, termos ?nibus adaptados com motoristas e também adaptados a serem gentis, educados e prestativos. O governo dá vagas de empregos, otimo! Mas as escolas n?o est?o adaptadas para que as crian?as deficientes frequentem a mesma. A vaga de emprego está aberta, agora o governo também está dando bolsas de estudos,mas como o deficiente irá para a faculdade se nao tem ?nibus adaptados? nenhum de nós conseguiu entrar. Depois consegui passar numa faculdade que oferecia o curso de filosofia gratuíto, ja que o de matemática eu n?o poderia pagar,mas n?o era o que eu queria. Estavam oferecendo inscri? ?es gratuítas na UNIP e minha colega de trabalho n?o queria ir, ent?o pedi pra ela e ela foi. Chegou em casa a carta da faculdade dizendo que havia passado, chorei muito de alegria pois havia passado para o curso de Direito sem a "bolsa", mas chorei ainda mais, pois n?o ganhava o suficiente para pagar as mensalidades. Já havia passado o prazo de inscri? ?o, quando comentei o acontecido com o Rui Biachi, ele me disse que se eu tivesse lhe dito a tempo ele teria me ajudado com as mensalidades e que nós deficientes precisamos de pessoas como eu.Ele realmente estava disposto a me ajudar, mas n?o poderia aceitar. O que infelizmente descobri é que entre nós os deficientes , somos muito os poucos que realmente nos importamos com os problemas das pessoas. Conheci muitos deficientes ricos ou com algum poder que jamais fizeram algo em prol do próximo e sim tudo o que fizeram era para benefício próprio. Por que estou escrevendo isto? Porque n?o adianta dizer que tem um deficiente a frente das quest?es, se esse deficiente n?o for uma pessoa íntegra e honesta. Sendo assim deficientes e "normais" deveriam juntos mudar o Brasil para que possamos fazer bonito na Copa e nas Olimpíadas,mas principalmente no dia-a-dia. A new Accessible Travel Project launches for the holiday season launched just in time for the holiday season, the Accessible Travel Project aims to help people with physical disabilities overcome any fears or apprehensions they may have about air travel. traveling by air, from checking-in, to getting through security, to transferring onto an aisle chair. The videos were created by Spinal Cord Injury BC (SCI BC), a not-for-profit dedicated to helping people with physical disabilities adjust, adapt and thrive in their communities. According to Statistics Canada, 11 per cent of Canadians had a physical disability related to mobility, agility or pain in 2006. "Just because you have a physical disability, it doesn't mean your travel days are over. That's the message we are spreading with this project," says SCI BC's executive director, Chris McBride. To accompany these videos, SCI BC also created an Accessible Travel Guide, which people can read online or download as a PDF for more detailed accessible travel tips and resources. All these travel tips were collected from a panel of expert travelers with physical disabilities. Collectively, they have explored more than 80 countries spanning every single continent over the past few decades. The Accessible Travel Project lives at www.sci-bc.ca/travel, where people can watch the travel tutorial videos, view and download the Accessible Travel Guide in E-Book form, read travel tips and stories written by people who have disabilities, and even share their own stories to be published online. 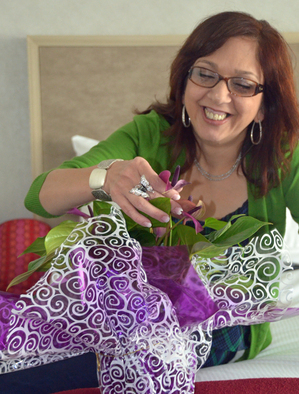 "Traveling with a disability can be extremely intimidating, especially for the newly injured. Our goal with the Accessible Travel Project is to alleviate some of the concerns people with physical disabilities have about travelling, and to allow people who've been there to share their own experiences," says McBride. Formerly known as the BC Paraplegic Association, Spinal Cord Injury BC (SCI BC) is a source of information on living well with a spinal cord injury in British Columbia and has one of the best peer programs in the country. Founded in 1957, SCI BC is dedicated to helping people with spinal cord injuries--or related physical disabilities--and their families adjust, adapt and thrive in their communities. In some of the most potent cultural images we have of cool cars, they are being driven by young men -- Ron Howard cruising in American Graffiti, cousins Bo and Luke from The Dukes of Hazzard sliding over the hood of the General Lee, James Dean behind the wheel of his Porsche. But these days some of the coolest things about our cars aren't there to dazzle the young. They're there to accommodate the aging. With 10,000 baby boomers turning 65 every day, it's easy to see why. Below is the text of the opening keynote of Presentation to ICAT 2007 held at the UN in Bangkok, Thailand. My appreciation to the various ministries of the Thai government, UNESCAP, and several disabled peoples' organizations (DPOs) including Disabled Peoples International - Asia Pacific (DPI-AP) and the Asia Pacific Disability Forum (APDF). Before I begin I would like to dedicate my comments today to my friend Topong Kulkanchit. I met Topong in 2005. We decided to work together to see that a conference was held in 2007. Mostly through his hard work early preparations were made so that Saowalak Thongkuay and Sawang Srisom their team could make this event a success. Thank you. I look forward to our next gathering in Singapore in 2009. I challenge everyone here to continue the work that Topong poured his life into. We are here to do some thinking on a global scale. That's a big task. Big thinkers like to give names to the boundaries they put around ideas - handles to make them easier to grasp. When we talk about disability we usually talk about these "idea packages" as models of disability. The Charity Model, the Medical Model, and the Social Model are the names we usually use. The first two present people with disabilities as recipients rather than as sources of action. The Charity Model places people with disabilities as recipients of the moral responsibility of others to care for them. The Medical Model further limits responsibility to those with professional medical knowledge. Both models define the limits of the world that a person with a disability "really" belongs to: The world of family or its extensions of church or service organizations in the Charity Model and the world of the doctor or their delegate in the Medical Model on the assumption that the disabled person's highest and constant concern in life is to be "cured." Both models prevent people with disabilities from political expression and economic participation as adults because both models assume worlds that are too small for real people. After an introduction like that it is obvious that I am going to endorse the Social Model. It claims that the world where people with disabilities "really" belong is the real world, the whole world - like everybody else! That's a big world. Universal Design is what lets us live at home in this world. Wheelchair user and architect Ron Mace, with his colleagues, set the foundation for everything we do at this conference by creating Universal Design more than 30 years ago. These thinkers in the Disability Rights Movement understood that our desire to be full participants in society required us to develop a simple elegant solution to achieve accessibility. The seven principles defining Universal Design start from the reality that not every individual has the same stature, strength, or range of abilities. Diversity between individuals is the "normal" in any collection of human beings - change in ability is the defining characteristic of each individual over time. Accessibility in tourism improves quality for the growing senior population too. 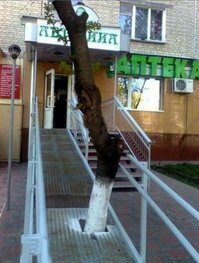 Universal Design is a framework for the design of places, things, information, communication and policy to be usable by the widest range of people operating in the widest range of situations without special or separate design. 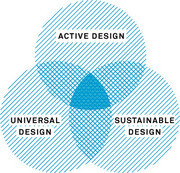 Most simply, Universal Design is human-centered design of everything with everyone in mind. I said we're here to think but to be more complete I should add that we're here also to dream. Imagination becomes alive in every person's life when the limits of their world go from family to some larger institution and finally on to the limitlessness of free participation in the whole world. Dreaming is the first step in thinking on that global scale - and everyone who works in the global travel industry knows what we do. We sell dreams and we make them real. As the disability community around the world acts on this dream of global participation the travel industry is here providing for them as what they have become - a market. I have been invited here to talk about global trends in accessible travel. I have just told you the first trend. A group of people with disabilities have gathered. They are the actors. They are the political and economic force. They, we, came here to say that we have a dream. That dream is the freedom to travel. They have become a market and they have their own voice. As we gather for two days in Asia another group of people from all over Europe are going home. They have just finished two days of meeting on accessible travel at the European Network for Accessible Tourism - ENAT run by Ivor Ambrose. This trend - this dream - is global among people with disabilities. Now let's think together. The second trend we see is that a "profit-based approach to disability" is inseparable from our conference theme of "a rights-based approach to disability." Aiko Akiyama of UNESCAP will speak to us later about the Biwako Millennium Goals where rights and development converge in tourism. Is there a profit-based approach to disability for the travel industry? Research done by Eric Lipp and Laurel van Horn of the Open Doors Organization have taught us that American adults with disabilities or reduced mobility currently spend an average of $13.6 billion U.S. a year on tourism. In 2002, these individuals made 32 million trips and spent $4.2 billion on hotels, $3.3 billion on airline tickets, and $2.7 billion on food and beverages while traveling. In the UK 10 million adults with disabilities have an annual purchasing power of 80 billion pounds sterling. In 2001 economically active Canadians with disabilities had $25 billion Canadian dollars available. Americans with disabilities or reduced mobility have $175 billion in purchasing/consumer power. Cruise lines know from research that people with disabilities favor cruise vacations at 12% compared to 8% of the general population. Studies also show that people with disabilities are loyal customers: 59% report that they plan to take another cruise. Creating accessible cruise ships, accessible ship terminals, accessible ground transportation, and accessible tourist destinations in port cities is not charity. It is good business! In a few minutes I will tell you how stakeholders in North & South America are working together to build that business. Two years ago a group of us got together in Taipei and began to plan for today. Then it was easy to report on trends in accessible tourism. The pattern was clear. The trend in 2005 was experimentation and local standardization in controlled regional environments. New "islands of innovation" were evident around the world. In fact, in most cases they were either actual islands like Crete, Hawai'i, Tenerife, Japan, St. John's Virgin Islands, and Tasmania or they were geographically isolated regions like Western Australia. The trend in 2007 is less about new invention and more about standardization across larger areas and on an international level. It is a new stage of maturity but it will be over in about two years when we meet next in Singapore - this time with our European friends. For these next two years the main trend around the world will continue to be establishing common practices and agreeing on standards. Sometimes it will feel like a tug-of-war; pulling in two opposite directions: one direction pulls toward a rights-based approach to standards and the other a profit-based approach. The first starts with persons with disabilities as citizens; the second as customers. 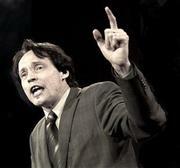 The first approach speaks in the language of governments; the second the language of business. Effective standards result when people with disabilities are active in defining both approaches. In fact, that is what this organization is about. It is a voice of people with disabilities in conversation with government and business to serve the interests of all three groups regarding travel and hospitality. Let me anticipate 2009 with a grandiose statement about the historic importance of today: The tourism industry has become a vehicle for social good. Industry practices increasingly honor green design and ecologically responsible practices. With Universal Design tourism has also become a vehicle for what the Disability Rights Movement has fought so hard to articulate and to achieve for more than 30 years. So here today we set the Disability Rights Movement on a new path accompanied by partners from business and government. 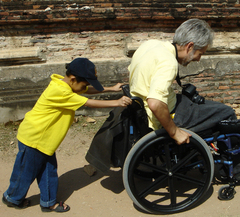 That path of promoting accessible travel will pass through every country in Asia. The trend when we meet again in Singapore in 2009, this time with our colleagues in ENAT from Europe, will be the emergence of Centers of Excellence that strategically disseminate sustainable innovations, grounded in standards, and fluent in customer service respecting the rights and dignity of people with disabilities. After ICAT 2007 I will spend time consulting with government and industry leaders in Pattaya to see if we can make Thailand one of the first of those Centers. I will assist UNESCAP create a set of guidelines From my work around the world I have three cases that illustrate the current trend toward creating standards of good practice: one example in South America, one in North America, and one in Africa. South America brings four countries together with the cruise industry around accessibility. North American national park officials draw in a business partner and showcase accessible cultural tourism. Africa is shaping a continental accessible tourism market through the research and advocacy of an entrepreneur with a disability who promotes safaris. The Inter-American Institute on Disability and Inclusive Development has formed a network to develop accessibility along the cruise corridor from northern Brazil to Tierra del Fuego at the southern tip of Argentina. In 2007 disability advocates and organizations, government, academics, cruise lines, and the land-based tourism industry joined together as stakeholders to begin to adopt standards, infrastructures, and practices that guarantee a consistent quality of travel experience between Brazil, Uruguay, and Argentina for seniors and others with disabilities. The major activity at this stage is in Brazil which will host an international conference on Accessible Tourism in May 2008. Individuals in the South American network have begun to appear in the media, speak at tourism conferences, and write articles on the value of this market of travelers with disabilities. Data is being collected on the number of people with disabilities and their purchasing power. One of the most rewarding things I do now is work with university students and young professionals in South America guiding their research, their career choices, and their businesses. At the same time accomplished architects like Veronica Camis?o are drawing up plans for improved ship terminals. Wheelchair-using Brazilian architect Silvana Cambiaghi has published Brazil's first full-length book on Universal Design. Museum specialists like Viviane Panelli Sarraf simultaneously provide attractions of interest to international and domestic tourists with disabilities by making museums and other cultural sites accessible. Dada Morreira, Ricardo Shimosakai, and others with disabilities sell accessible land-based excursions that include whitewater rafting, jungle off-road treks, multi-sensory walks, parasailing, and exhilarating treetop tours. In addition to this explosion of new businesses by people with disabilities, this group has written new regulation on maritime access to standardize accessibility in cruise ship terminals and on passenger ships serving Brazil. Industry and government, led by professionals, advocates, and business owners with disabilities have identified an underserved market and are building a strategy together to serve it. Research shows that the more cruises a person takes the more likely he or she is to disembark in port and buy a land-based excursion. We know that more people with disabilities are cruising. We also know that they tend to take repeat cruises more often than the general public. They will grow disproportionately as a market inclined to take land excursions. Argentina has planned ahead for this trend. It is holding its first rural workshop on serving people with disabilities for the rural tourism industry that will see some of these cruise passengers on land excursions. Keep in mind that disability accompanies aging. The Open Doors Organization recorded that about 50% more of the existing group of Americans traveled between their 2002 and 2005 studies - even though it the travel industry had not done anything to make it significantly easier to do so. That group of people with disabilities and the leisure to travel is about to expand as the huge post-WWII generation ages. This market is big and travelers will reward those who build welcoming environments to accommodate them. ake the example of the United States. In the United States this global trend toward standardization on best practices by government, industry, and people with disabilities takes place on Alcatraz Island. Many people know this steep rocky island near from San Francisco from movies about its time as a maximum security prison. As the saying goes, "Break the rules and you go to prison. Break the prison rules and you go to Alcatraz." Today the island is a National Park run by some of the most passionate supporters of disability rights in the US Park Service. Early in November I had the opportunity to inspect the island with the National Accessibility Center from Indiana University. The park is a model for the entire world and continuously hosts international park and government officials. The practices used at Alcatraz are further disseminated because one out of four visitors comes from outside the US and brings their experience home. The message of accessible tourism is not only coming from conference like our or ENAT in Europe or the one this May in Brazil. Every day people from Asia are seeing accessibility in action at Alcatraz. Physical access for the mobility impaired was one of the first barriers to be addressed on the island. More than a decade ago National Park Rangers, including James Adams and Rich Weiderman, invented a tram system for the island that anticipated current trends calling for green and sustainable development in tourism. Using an electric motor designed for the tractors that pull jet airliners at airports they applied Universal Design principles to manufacture this uniquely powerful but non-polluting tram. It was estimated that it would serve 15,000 park visitors in its first year. Everyone was surprised to find that 30,000 used it. Today it averages 70,000 to 80,000 users annually. Keep in mind that about 25% of these users are people who bring the expectation of such accessible and eco-sensitive service back to their home park systems. The island can only be reached by boat and only one company, Alcatraz Cruises, serves the island. Early in their contract the cruise line saw that they needed to invent a new type of dock and ramp system. Doing so made them the only cruise facility on the West Coast of the USA able to accommodate passengers 365 days a year in all extremes of weather and tides. I, for example, had no difficulty getting off the island the day 580,000 gallons of tanker fuel spilled in the Bay near the island and the park was systematically being shut down for the emergency. Standardizing on the dock design and evacuation practices perfected at Alcatraz National Park disseminates good physical design and safety policy. It also affirms a profitable collaboration between business and government where innovation to achieve accessibility resulted in better service for those with no disability. Program accessibility, or accessibility to all the services and benefits offered by the park beyond simple physical access, is another area where Alcatraz first set the standard and then became the living university teaching by example. Alcatraz was the first park to adopt audio walking tours narrated in the first person voices of rangers, former prisoners, and guards. The approach was so successful that the tiny recording company that produced the first tours became the largest in the world in that field and was just recently purchased by a television channel. Once again, accessibility proved to be profitable and trend-setting. The final example, Africa, represents something different. One of Africa's most popular forms of tourism is the safari. It operates in isolated areas. That isolation means the safari industry has less structure for formalizing best practices. In this case, the significant current trend is the result of the vision of a European entrepreneur who, with a vision and his sturdy wheelchair, has just completed visits to over 130 hotels and tourism destinations throughout the continent. Gordon Rattray runs Able Travel. 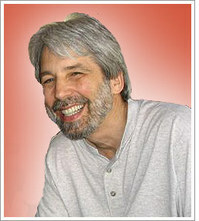 On his research tours he is able to spread standards through his individual consultations. Here neither government nor industry are in the lead. Leadership comes from within the disability community itself. The end result of Gordon's accessibility audits throughout Africa will be a published tour guide, "African Safaris for People with Limited Mobility". In that way his work promotes adoption of standard practices much as US author Candy Harrington does through her magazine Emerging Horizons and her various books, "101 Accessible Vacations," "There is Room at the Inn," and "Barrier-Free Travels." Bruce Cameron has taken a similar approach to standards promotion through his book "Easy Access Australia" and frequently contributes to academic and policy work with Australian academics like Dr. Simon Darcy and Dr. Tanya Packer. Mary Chen in Malaysia will launch the disability lifestyle magazine, Challenges, in Malaysia in January where I will write on travel. I have been asked to edit a special issue on travel and disability for the academic journal, Review of Disability Studies published by the University of Hawaii. Dr. Sunil Bhatia has also invited academics to contribute articles specifically about Thailand to the journal of the Design for All Institute of India. I invite any of you here today who would like to submit an article or discuss an idea for an article to talk to me during the conference. 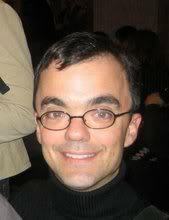 Gordon Rattray's work in Africa is a "profit-based approach to disability" where he establishes himself, a person with a disability, as the expert on an entire continent. As an individual consultant he brokers and disseminates standards in a region where only a sparse business and social network serves the accessible tourism market. In contrast, the Inter-American Institute on Disability and Inclusive Development takes a "rights-based approach to disability." South America is a heavily networked environment that produced the important accessible tourism document in 2004 known as the Rio Charter: Universal Design for Sustainable and Inclusive Development. It is further linked by a flourishing route of cruise ship destinations sharing similar needs. The orientation to disability rights of the Institute emphasizes the experience of the organization's founder, Rosangela Berman-Bieler, who worked with Judy Heumann to establish the Disability & Development program of the World Bank. Both women are wheelchair users and professionals in international development. In the United States with Alcatraz National Park we see yet another model. Here the key professionals working in the National Park System and the contracted cruise line do not have disabilities themselves. There has been a systemic adoption of disability rights values by this government agency and this business -- although only through the sustained pressure of these professionals from within and sometimes with the addition of pressure such as lawsuits from without. Here professionals lacking disabilities guide the institutions through their own sense of justice, legal obligation, and business opportunity. As a prominent international tourism destination what they have created becomes a school of Accessible Tourism for any visitor who cares to learn from it. Tourism ministries, and the industry they support, have begun to apply results from studies about our travel behavior and purchasing power. Facility construction and business practices based on Universal Design that were once considered innovations and were known only locally are now better known and adopted worldwide. There is increasing consensus on what are proper - and profitable - ways to attract us as a market. The fact that this conference takes place today through the generous sponsorship of the Thai government with support from the tourism industry is one world-class demonstration that thoughtful leadership has recognized the value of the full participation of all its citizens and how concrete action to include citizens with disabilities creates the environment of hospitality that attracts tourists from around the world. Let me end by speaking in sequence to the three groups that will make accessible tourism possible: governments, businesses, and the disability community. Governments, when we promote a rights-based approach to disability we commit ourselves to a tradition that affirms the dignity and worth of every individual human being. We raise the individual beyond the context of the body and its functions or limits; beyond, family, race, or nationality. We state that we support the rule of law and hold our governments accountable for protecting the freedoms that we believe are due to all human beings. By promoting the UN Declaration on the Rights of Persons with Disabilities we are actually holding more than our own national government to this standard. We are claiming that all governments of all nations must unequivocally promote and protect the right to full social inclusion of all people with disabilities throughout their lifespan. A rights-based approach to tourism claims that there must be equal opportunity of access for people with disabilities allowing them to enjoy the benefits of travel and hospitality whether for business or for leisure. That access must be physical as with the design and construction of buildings or transportation systems. That access must also be to the non-physical benefits available to travelers without disabilities. This could be as simple as receiving the same respect offered to other customers during a transaction. It could be as complex as comprehensively planning safety and evacuation procedures appropriate to people with various sensory, intellectual, and mobility capacities. Businesses, when we promote a profit-based approach to disability we acknowledge that a business must pay attention to its profitability - once it has met the minimum standards set by law and by best practices. We expect to see variation between the products offered by different businesses. We expect to see accessible tourism products both inexpensive and extravagant because our community includes members who can afford both. In fact, we count on businesses to take the lead in innovation. We trust them to do their work so well that, like moths to flame, we will want to experience the products that they have developed to entice us. So let me offer to the industry this cheeky invitation from Jesús Hernández, accessibility director of Spain's ONCE Foundation, first in its original Spanish: "No te preocupes de mis derechos, preocúpate de mi cartera"! [Spanish] "Don't overly concern yourself about my rights, pay attention to my wallet!" Businesses do what you do well! We want to spend our money! Studies show that people with disabilities have that legendary trio of characteristics that all travel agents look for: the desire to travel, the means, to travel, and the freedom to travel. In fact, the study I quoted earlier from the Open Doors Organization predicted that those billions of dollars spent on travel by Americans with disabilities could easily double with the creation of appropriate travel products. Now that's a bold prediction! People with Disabilities, when we travel we represent more than ourselves because we are part of a community. As a person with a disability you carry two items of unusual value -- especially in combination. Both tend to surprise those you meet as you travel. The two items are money and pride. By money I mean more than the change in your pocket. By pride I mean that confident self-determination of knowing who you are beyond any economic measures of worth. The very fact that you have a disability and travel suggests something about your economic condition. It indicates that you have credit, savings, education, maybe a profession that requires travel. It demonstrates more importantly that you have the ability to make decisions about the course of your life for yourself. That combination of means and dignity are potent tools of social transformation. Travel the world today and you will find that there is a hunger for community and solidarity among people with disabilities. As an exchange student, backpacker, business or vacation traveler, your identity as a person with a disability gives you access to faces of the tourism industry that others may not have. Some are positive. Some need improvement. The next two years will be a surprise to those in the industry who have not yet prepared their profit-based approach to disability. Some will be asking you to help. You have an opportunity to contribute and to shape the travel industry. That may be with the rights-based emphasis through government, education, or policy. It may on the profit-based side through invention, construction, marketing, or business creation. Whatever opportunity you choose, take your pride - and your money - on the road. Travel. Teach the industry and level the path for the ones who come after you! Anúncio de VisitEngland é um marco significativo em reconhecer a importancia económica e social do Turismo Inclusivo. Inglaterra como no resto do mundo ocidental, tem um envelhecimento demográfico que já está afetando a demanda por experiências de férias acessíveis. Mundial agora existem mais de 1 bilh?o de pessoas com algum tipo de deficiência e com amigos e família há mais de 4 bilh?es ou quase um ter?o da popula? ?o mundial diretamente afetados pela deficiência. A indústria do turismo tem sido lento a reagir à mudan?a demográfica. Come?a areexaminar a sua oferta de produtos e servi?os, apesar proje? ?es repetidas de mercado de turismo inclusivo atingir 25% do total de gastos do turismo em 2020. Muitas vezes as pessoas confundem acessibilidade com Turismo Inclusivo. Acreditam entao, que as rampas e casas banheiros"acessíveis" em conformidade com a legisla? ?o é o fim do assunto. Os viajantes com deficiência s?o iguais a qualquer outro viajante. Eles viajam para ver e experimentar o mundo. (Ver o excelente artigo de Deborah pessoal) Por que a indústria do turismo acredita que qualquer viajante que se contentar em sentar-se no seu quarto "acessível" para as suas férias desafia a cultura de servi?o da indústria e mostra ao viajante a deficiência n?o é visto como um cliente. N?o é sobre a constru? ?o de infra-estrutura, mas as experiências de constru? ?o e de produtos e que tem que come?ar com um destino n?o uma rampa. VisitEngland, com o anúncio de hoje deram um passo significativo para alavancar a consciência cultural criado pela paraolímpico Jogos de Londres e assim criar para a indústria do turismo britanico uma vantagem signifcativa competitve. Outros países precisam tomar uma boa olhada as raz?es subjacentes e à importancia económica do turismo inclusivo ou correm o risco de ficar fora do mercado que mais cresce no turismo. San Francisco State University is pleased to announce the launch of the Paul K. Longmore Institute on Disability. Named to honor and continue the intertwined scholarship and activism of its founder, this part think-tank, part cultural center introduces fresh ideas about disability and disabled people through a series of exciting projects at the intersection of disability history, the arts, education, and policy. Professor Catherine Kudlick (formerly at University of California, Davis) has joined SF State's faculty as Professor of History and Director of the Institute, along with Emily Smith Beitiks (PhD University of Minnesota) who will serve as Assistant Director. A 4a edi? ?o do Fashion Mob, evento que revela novos talentos da moda nacional, aconteceu no dia 09 de dezembro, no Vale do Anhangabaú, centro - cora? ?o da cidade de S?o Paulo. Tento como objetivo encontrar nas cria? ?es liberdade de express?o e diferen?as. Criado em 2007, o Fashion Mob proporciona o acesso da popula? ?o ao seleto mundo da moda, já que é na rua que ela realmente acontece. As inscri? ?es s?o abertas a todos, estilistas profissionais ou n?o, e o evento acaba revelando novos talentos. Trata-se de uma grande porta de entrada para o mundo da moda. André Hidalgo, idealizador do projeto explica que as pessoas precisam compreender melhor o universo da moda: " O mundo fashion n?o é uma panelinha. Temos a maior passarela da moda onde todos podem mostrar suas cria? ?es"
Marcando presen?a pelo segundo ano consecutivo, a estilista Candida Cirino, veio do Paraná, mostrar a moda inclusiva, em duplo sentido. Além das roupas adaptadas que s?o feitas de acordo com as necessidades de cada pessoa com deficiência também é uma mistura de miscigena? ?o brasileira. A modelo mirim Anne Nogueira Gonzaga, 7 anos, faz parte do casting da agencia Kica de Castro, e representou nas passarelas crian?as e adultos que possuem limita? ?es reduzida. A beleza dos afro-descendestes ficou por conta da modelo Dayane Nunes dos Santos, 19 anos. Já as modelos Mariana Sacramento e Camila Joana de Souza Carvalho, ambas com 17 anos, representaram as pessoas sem deficiência, onde se faz a verdadeira inclus?o, pessoas com e sem deficiência na mesma passarela. O mercado de trabalho fashion precisa levar em considera? ?o que as oportunidades devem ser ampliadas. é possível trabalhar com a diversidade estética, só assim, saberemos que moda realmente é um espa?o democrático. Todays announcement from VisitEngland is a significant milestone in recognising the economic and social significance of Inclusive Tourism. England like the rest of the western world, has an ageing demographic that is already impacting the demand for accessible holiday experiences. Worldwide now there are over 1 billion people with some form of disability and with friends and family there are over 4 billion or almost a third of world's population directly affected by disability. The tourism industry has been slow to react to the changing demographic and re-examine its product and service offerings despite repeated projections of the market share of inclusive tourism reaching 25% of the total tourism spend by 2020.
quanto pela falta de integra? ?o entre as que já existem com os demais ambientes das cidades em que vivem. Uma solu? ?o para essa lacuna é a arquitetura inclusiva, sensível às diferen?as entre os cidad?os. Para falar sobre o tema, a repórter Luanda Lima, do Portal EBC, entrevistou o arquiteto Marcelo Guimar?es, que é professor da UFMG e lidera o laboratório Adaptse, que desenvolve projetos voltados para a acessibilidade. Portal EBC - O que é a arquitetura inclusiva e qual é o ponto de partida para se projetar ambientes acessíveis, considerando os vários tipos de deficiência e também as pessoas que têm alguma dificuldade de locomo? ?o, como os idosos? United Spinal Association is extremely disappointed that the Senate failed today by a vote of 61-38 to ratify the Convention on the Rights of Persons with Disabilities (CRPD). "Opposition to ratification of the treaty is based on several extreme assertions by the far right, including that ratifying the CRPD would endanger U.S. sovereignty and that parents would lose their ability to make decisions for their children with disabilities. These assertions are absolutely false," said Paul J. Tobin, United Spinal CEO and President. The CRPD embodies the protections and opportunities available through the Americans With Disabilities Act (ADA), but on a global scale. CRPD is a treaty created by the United Nations that protects the rights of people living with disabilities, including: equal treatment and non-discrimination in access to justice, health, education, employment, and rehabilitation. Ratification of the CRPD treaty is supported by over 300 disability organizations, 21 veterans organizations, the U.S. Chamber of Commerce, and many other national leaders and organizations. CRPD would have improved access for disabled veterans and other Americans with disabilities that live, work, or travel abroad. The treaty is critical to maintaining America's leadership role on disability rights and to eliminating disability discrimination throughout the world. Ratification of the CRPD treaty would present the opportunity for a reaffirmation of the values inherent in the Americans with Disabilities Act and provide the forum to advance them worldwide. Failure of the Senate to ratify the CRPD only strengthens our resolve to dispel the myths offered by the opposition and secure ratification of the CRPD in the next session of Congress. We thank those Senators who voted in favor of the CRPD for their support of rights for disabled veterans, and all people with disabilities. The stories about the failure of the US Senate to ratify the UN version of the Americans with Disabilities Act - the CRPD - keep coming in shades ranging from incredulity to outright disdain. But the, what else could possibly be the sane reaction to this travesty of basic principles of justice? Democratic Congresswoman-elect Tammy Duckworth, of Hoffman Estates, made one of her first public statements this week in support of a United Nations treaty that would ban discrimination against people with disabilities. The double amputee Iraq War veteran said she personally knows "the challenges that face millions of disabled persons around the globe everyday," and noted the "treaty would make no changes to current U.S. law and failing to ratify the treaty would leave the global community without its foremost leader on disability rights..."
No word yet as to how Republican Sen. Mark Kirk - who is at home in Highland Park recovering for a stroke - would have voted. 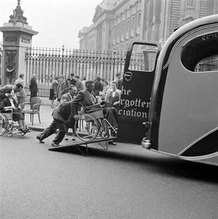 Disability in Time and Place reveals how disabled peoples' lives are integral to the heritage all around us. From leper chapels built in the 1100s to protests about accessibility in the 1980s, the built environment is inextricably linked to the stories of disabled people, hidden and well-known. This section serves as an invitation to those interested in disability or social history to explore what the historic environment has to offer. All the content has been translated into British Sign Language. You can also find out more information about buildings highlighted in these pages, some of which are open to the public. UK - "Today, English Heritage launches Disability in Time and Place: a major new web resource. Working with disabled people and specialists in disability history, we demonstrate how disabled people have had a major influence on many well known, and less well known, buildings that we see every day. From medieval churches built with Lepers' squints to meeting places for the first disabled self-help groups in the early 20th century, you can explore the history of hundreds of buildings telling the story of disabled people's lives here:"
e "dis" out of disability and you remove the core of what has shaped my life. Disability puts the "D" in diversity, but in order to make that a real difference we've got to own that spot. It took me 35 years to respect and honor that truth. Others shouldn't have to wait that long..."
Despite the support of over 300 disability rights and veterans organizations, the US Senate failed to ratify the United Nations Convention on the Rights of Persons with Disabilities (CRPD) today, with a final vote of 61 Senators in support and 38 Senators opposed. By not ratifying the Treaty, the US fails to advance the human rights principles it once championed in the Americans with Disabilities Act of 1990, the landmark disability civil rights law upon which the CRPD is largely based. The US has a powerful role to play as a partner and ally in supporting the global human rights of people with disabilities. Our country provides an example of how our rights can be advanced. That our rights matter. The principle, Nothing about us without us, is global. "The loss of the CRPD has real effects on our lives as people with disabilities, and that includes people in the US. We travel, we work beyond US borders. Equally important, people with disabilities in other nations need an effective CRPD supported by a strong US role. The opposing Senators have disregarded our economic freedom today," said Susan Henderson, DREDF Executive Director. "It's critical that we renew our commitment to putting people with disabilities in positions of power so we can defeat this opposition in the future." The CDRP has been ratified by 126 other nations and has bipartisan support. The CRPD was derailed in the Senate by a lockstep block of 38 conservative Senators who falsely claimed that the Treaty would result in events that varied from a loss of US sovereignty to the loss of parental rights of children with disabilities. The fight on this vote ended today but the disability community will continue to fight on. DREDF thanks the 61 Senators who voted Yes and suggests community members join us in doing so by calling or contacting their respective legislators. Each deserves our strong encouragement to continue supporting the CRPD. The next step involves the 38 Senators who voted No on human rights for people with disabilities both here at home and around the world. Let them know that we refuse to be treated like second class citizens.and that we vote. The Senate Switchboard number is (202) 224-3121. Read more about the reaction to the vote, including a quote from DREDF's Rhonda Neuhaus, in Boston Globe article. Monday, December 3 is recognized around the world as International Day of People with Disabilities. Sanctioned by the United Nations two decades ago, the day "aims to promote an understanding of people with disabilities and encourage support for their dignity, rights and well-being." While the anniversary typically doesn't cultivate much attention in the United States, this year, the U.S. Senate has the opportunity to underscore the importance of rights for people with disabilities worldwide. On December 4, one day after the anniversary, the Senate is expected to vote on the United Nations Convention on the Rights of People with Disabilities. Introduced by the United Nations in 2006, and signed by President Obama in 2009, the treaty gives people with disabilities around the world the rights and protections necessary so that they may live independently and productively. Researches on enabling places have been done by measuring physical environments. The disabled researched tends to be 'object of study' and struggles are 'neutrally out there'. Its outcomes tend to fail to meet their needs. To what extent the methodology help understandings of people-place relationship. The discussions based on an experiment and an exploration one wheelchair user negotiating socio-spatial impediments in daily life. A small physical barrier can be solved by design solution in the quantitative approach. However, it is more complicated in another. The paper invites rethinking roles of socio-cultural factors and positions of the disabled in the process. The film will take viewers through a rollercoaster of emotions: disappointment, anger, relief, joy, delight and satisfaction, by telling the stories of a number of Paralympians and showcasing their sporting abilities. Key moments include Britain's Ellie Simmonds tearful victory in the 400 metres freestyle, Italy's former motor racing driver Alex Zanardi's first handcycling win on the Brands Hatch track, South African Oscar Pistorius' shock defeat in the 200m T44 as well as Jonnie Peacock's epic home 100m T44 wi. The film, whose launch coincides with the United Nations International Day for Persons with Disabilities on Monday, celebrates the achievements of Paralympians who, as post London 2012 research has shown, have created a shift in the perceptions of people with a disability. Charity United Research found 81 per cent of British adults changed their viewpoint of persons with a disability due to the Games. The film can be viewed from Monday by clicking here.